The 23andMe Health Predisposition* Reports tell you if you have genetic variants associated with an increased risk of developing certain health conditions but does not report on your entire genetic profile. For information about getting started with these reports, visit our Getting Started with Health Predisposition Reports help article. In order to view the 23andMe Health Predisposition Reports, you must choose to include them when making your report selection after your sample has been processed. Select reports, considered sensitive in nature, also require an additional opt-in step before you can view your result. 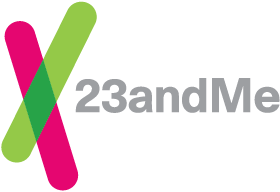 The 23andMe Health Predisposition Reports do not cover all possible genetic variants that could influence risk for these conditions. Additionally, the absence of a variant tested does not rule out the presence of other genetic variants that may be related to the disease. While having a particular variant can be linked to a higher risk for a condition, it does not necessarily mean you will develop the condition. Not everyone with a risk variant will develop the health condition. Other non-genetic factors, such as environment and lifestyle, can also impact risk for these conditions. You may be able to manage your risk for some conditions by managing other risk factors. Variants are often more common in certain ethnicities, and the effect a variant has on risk for a health condition is often best studied in those ethnicities. You can find additional information in the Important Ethnicities section of your report. The 23andMe Genetic Health Risk Reports (included within the Health Predisposition category) provide information to users about their genetic risk of developing a disease to inform lifestyle choices and/or conversations with their healthcare professional. Consult with a healthcare professional if you are concerned about something you learned from your reports. These reports are not a substitute for visits to a doctor or other healthcare professional. Other companies offering genetic risk tests may detect different variants for the same disease, so you may receive different results using a test from a different company. View additional information about the 23andMe Genetic Health Risk Reports. 23andMe Health Predisposition Reports help you learn how your genetics can influence your chances for certain diseases. This category includes FDA-authorized Genetic Health Risk* reports. The 23andMe Genetic Health Risk* Reports tell you if you have genetic variants that are associated with an increased risk of developing certain health conditions. The main page of each report will provide a summary of your result for the condition. Additional information about what the result means can be found in the Frequently Asked Questions section of the report. It is important to note that receiving a “Variant(s) not detected” result means that you do not have the genetic variants we tested. However, you could still have another genetic variant not included in this test. Other risk factors, both genetic and non-genetic, can also affect your risk of developing a condition, even if you do not have any genetic variants. A biological explanation of the variant. The variants analyzed and your genotype at those variants. Risk estimates for developing the condition. Other factors that may influence risk. Note: Risk estimates are based on clinical studies that identify an association between a genotype and a health condition. For certain genotypes, quantitative risk estimates may not be available. The report overview provides quantitative risk estimates when lifetime, absolute, or relative risks are available. Learning that you have a genetic risk factor for a disease can be difficult. It can bring on different emotions and questions as you think about what the results mean for you. If you are concerned about something you learned from your reports, we encourage you to contact your physician or other medical professional. Speaking with someone knowledgeable about clinical genetics is the best way to make sure that you have a clear understanding of what your data means for you personally. In some cases, your primary care physician may be the best place to start. In other cases, you might prefer to speak with a genetic counselor or a medical geneticist – health care professionals who specialize in hereditary conditions and who are specifically trained to help people understand their genetics in the context of personal and family history. The National Society of Genetic Counselors or American Board of Genetic Counseling can help you find a provider in your area. You might also be thinking about your family members and what your results mean for them. Since genetic risk factors can be passed down from generation to generation, you may consider discussing the information you learned with your family. Deciding whether to discuss the genetic information you learn is a very personal decision. There are both potential benefits and harms in discussing your genetic risks with family members. We encourage you to review our help article which includes a few important questions to think about prior to discussing genetic risk information, the potential benefits and harms of communicating genetic information, and some ideas that may help you find the right approach for sharing genetic risk information. Visit article. Genetic association studies are generally performed using people of a specific, similar ethnic background. Therefore, the effect of a variant on a person's lifetime risk of developing the condition may be better understood in people of a particular ethnicity. If a person who is not of the studied ethnicity has the variant, he or she is still expected to have a higher risk for disease, but the exact risk may vary depending on his or her ethnicity. Please review the information in the Important Ethnicities section of your report for additional information about the studied ethnicity or see the Scientific Details page of the report for more information about risk. *The 23andMe PGS test uses qualitative genotyping to detect select clinically relevant variants in the genomic DNA of adults from saliva for the purpose of reporting and interpreting genetic health risks. It is not intended to diagnose any disease. Your ethnicity may affect the relevance of each report and how your genetic health risk results are interpreted. Each genetic health risk report describes if a person has variants associated with a higher risk of developing a disease, but does not describe a person’s overall risk of developing the disease. The test is not intended to tell you anything about your current state of health, or to be used to make medical decisions, including whether or not you should take a medication, how much of a medication you should take, or determine any treatment. Warnings & Limitations: The 23andMe PGS Genetic Health Risk Report for BRCA1/BRCA2 (Selected Variants) is indicated for reporting of the 185delAG and 5382insC variants in the BRCA1 gene and the 6174delT variant in the BRCA2 gene. The report describes if a woman is at increased risk of developing breast and ovarian cancer, and if a man is at increased risk of developing breast cancer or may be at increased risk of developing prostate cancer. The three variants included in this report are most common in people of Ashkenazi Jewish descent and do not represent the majority of BRCA1/BRCA2 variants in the general population. This report does not include variants in other genes linked to hereditary cancers and the absence of variants included in this report does not rule out the presence of other genetic variants that may impact cancer risk. The PGS test is not a substitute for visits to a healthcare professional for recommended screenings or appropriate follow-up. Results should be confirmed in a clinical setting before taking any medical action. For important information and limitations regarding other genetic health risk reports, [visit https://www.23andme.com/test-info/] [click here]. I'm concerned about something I learned from my reports. What do I do?